This 250 ml glass cup is a perfect single serving size. 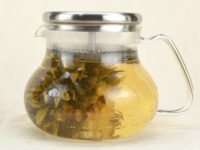 You can drink tea straight from the cup, or remove the lid and use it as a regular, plain glass. It is double walled so will keep your tea warm but won’t burn your fingers. This cup will fit most car cupholders, so you can travel with it anywhere. The bottom is covered with PP to prevent cracking the glass by accidentally setting it down too hard. 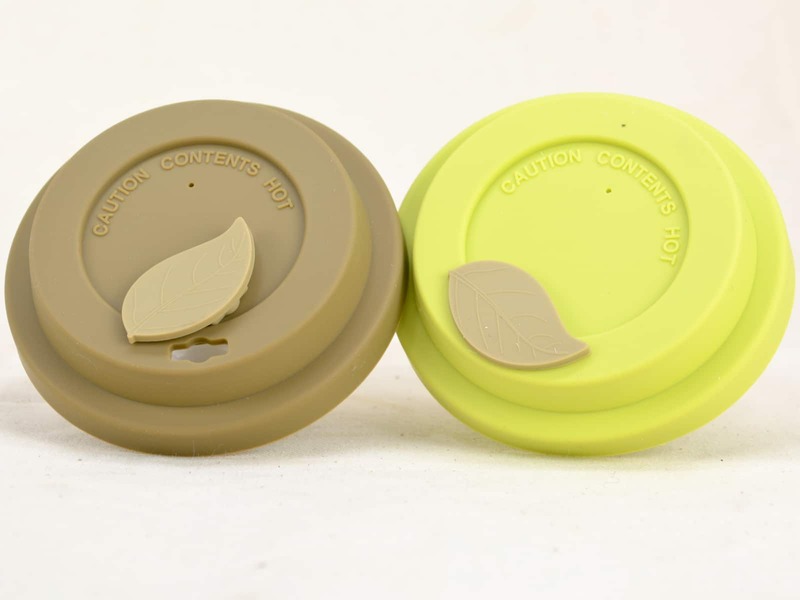 The lid is also made of PP, the sip hole is covered with a decorative and functional tea leaf that you can remove to drink or cover so it won’t spill. Use the lid on top to keep your tea warm, or you can pour out your tea into another vessel through the high quality PP lid to control your tea’s brewing time. You can also use this mug for coffee or any other hot liquids. Choose from either a brown or green lid.